Becoming a 2019 community supporter is only $30, and supports the board game community’s wide range of well over 100 free events. 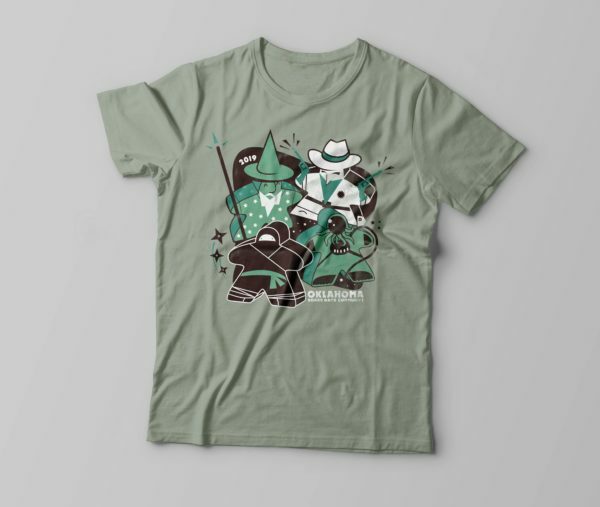 The shirt is pre-shrunk and features an exclusive design by Brandon Anderson, local designer and board game community member. 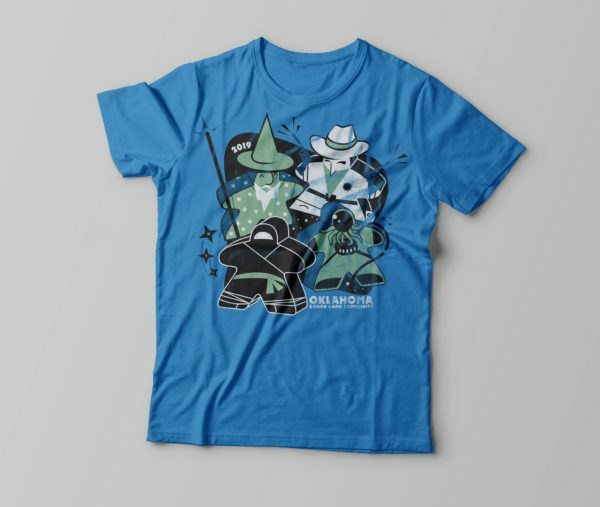 The shirt is available in blue or green. All shirts are printed locally in Oklahoma by the Oklahoma Shirt Company. A brand new benefit this year is board game discounts and promotions at local game stores. For example our first promotion this year is with PB&J Games. Wear your supporter shirt into PB&J Games anytime in March, and you’ll get 15% off your purchase! Orders for community supporters will be open until the end of January, when they will be printed and shipped ($5 flat rate shipping). You can also select the option for free local pickup at checkout, and pick up your shirt at any Oklahoma Board Game Community Event. Note that shirts pictured are mockups, and the final actual colors and design may vary slightly.